Wrapping up the first time period of the Great New York State Fair was generally uneventful. The attendance was decent despite the rather warm weather and the booth had a constant flow of participants at several of the stations. 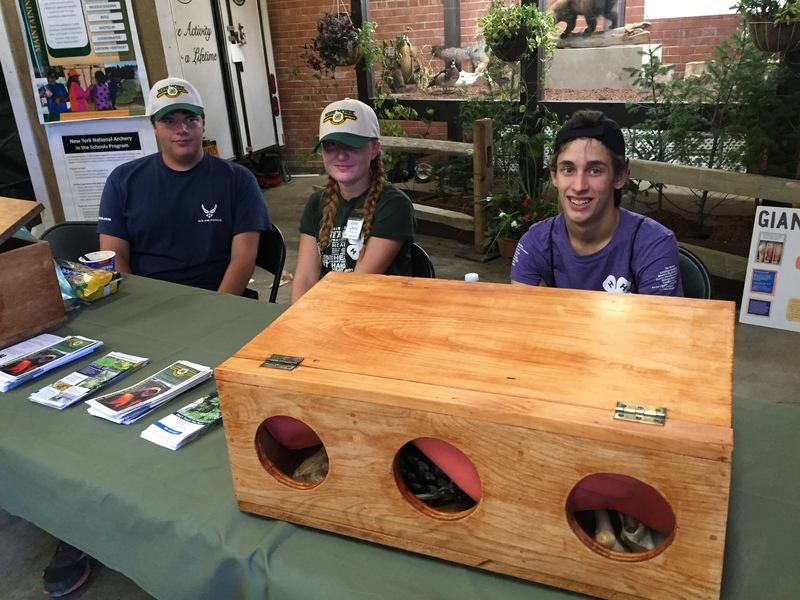 That’s right, the 4-H Shooting Sports booth has more than just the Laser Shot system, it also has a wildlife track stamping activity. 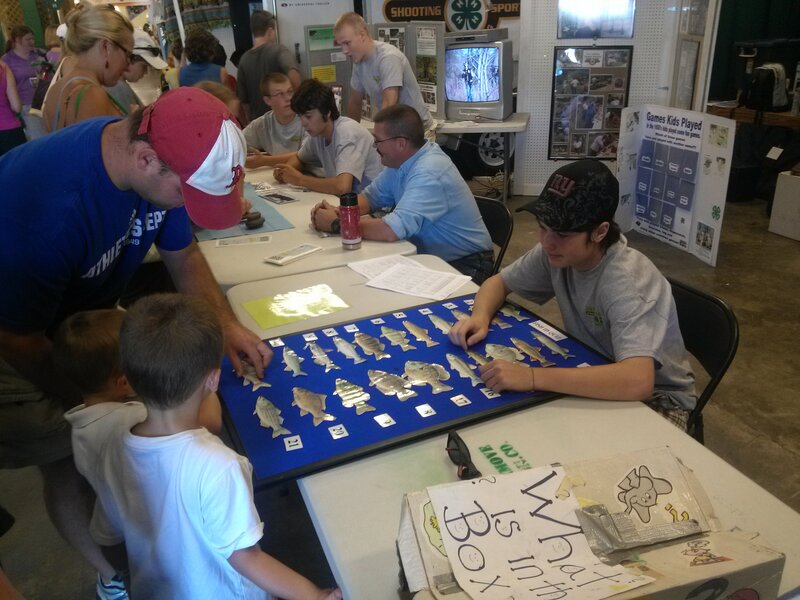 A new youth visitor to the booth, Galen Hogan, of the Warren County 4-H Adirondack Guides & Shooting Sports programs, worked with other youth and volunteers to conduct a fish and wildlife ID quiz. The quiz was based on the knowledge requirements of the 4-H Adirondack Guides, Additionally, members of the Yates County 4-H Living History program provided an activity about historical games and what they are called today. 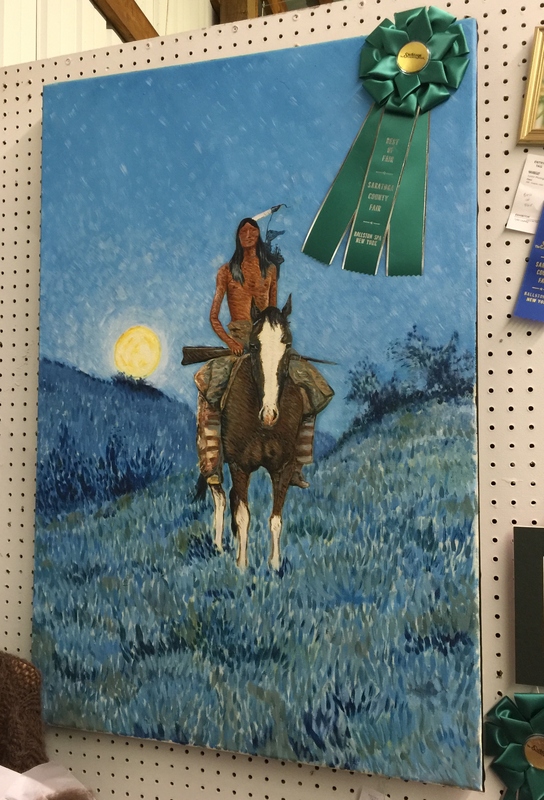 Special thanks to the following youth for first time period: Bethany Draper, Jon Palmer, Evan Perry, Tom Aiken, Corey Slocum, Justin Hill, Joel Rosko, Andrew Kissinger, and Kyle Warner. The Key Leader for the period was Dan McIntyre. Remember, the display is staffed everyday from 10AM until 6PM, except for changeover days (September 1). Welcome to the Great New York State Fair! Dr. Boor, Dean of the College of Agriculture and Life Sciences and Dr. Helene Dillard, Director of Cornell Cooperative Extension discuss wildlife identification and with Corey Slocum (left), Junior Shooting Sports Instructor, and Dan McIntyre (right), Volunteer Instructor. Welcome to the Great New York State Fair! 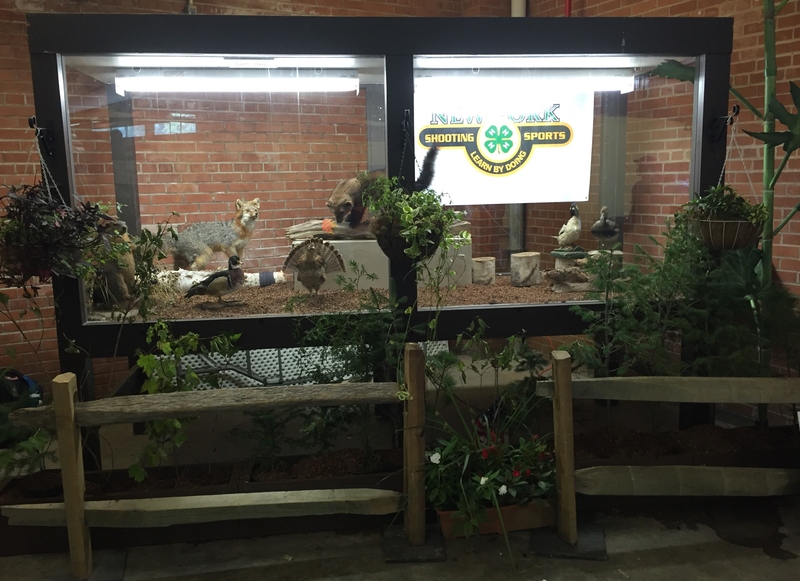 The NYS 4-H Shooting Sports booth is once again established at the western end of the Youth Building. On display are numerous taxidermy examples of animals from New York State. There is also the interactive Laser Shot shooting simulator which is like a large video game based on shooting sports. Typically the system is set up for the Wild West Gallery where you shoot at bottles, horseshoes, spittoons, etc. oryou may find Speed Trap, where you shoot at double clays that are released automatically. Yesterday, we were visited by Dr. Boor, the Dean of Cornell’s College of Agriculture or Life Sciences (CALS) and Dr. Helene Dillard, the Director of Cornell Cooperative Extension. 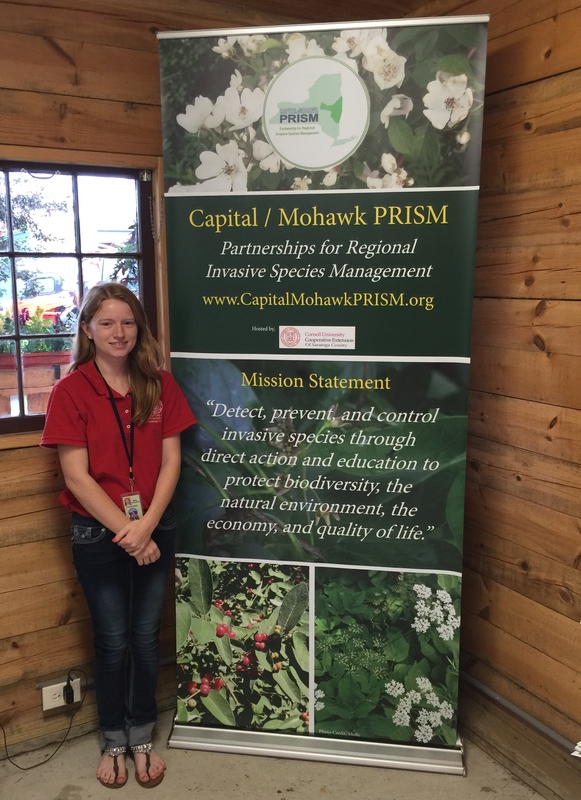 Also visiting was Dr. Valerie Adams, the Director of 4-H within Cornell Cooperative Extension. Dr. Adams and Dr. Boor expressed the greatest admiration for the activities that counties are doing and reminded us to make STEM (Science, Technology, Engineering, and Math), as well as Healthy Living and Citizenship a feature of our programs and our displays! The visitors had a nice visit with Dan McIntyre, Volunteer Instructor from Rensselaer County and Corey Slocum, Junior Instructor, from Yates County about track making activities and the use of tracks in wildlife identification. In the afternoon, the NYS 4-H Shooting Sports presented several awards for program participation. 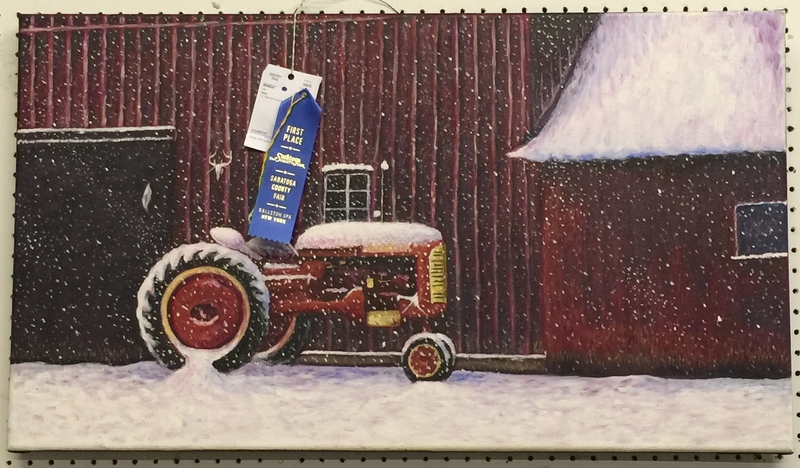 The Yates County SCOPE program was presented with the Business/Industry Supporter Award. Cindy Hill, Kevin & Kim Newell, Angie Cox, and Denise Slocum, all from Yates County, were awarded the Challenge of Excellence with 3 years of service. 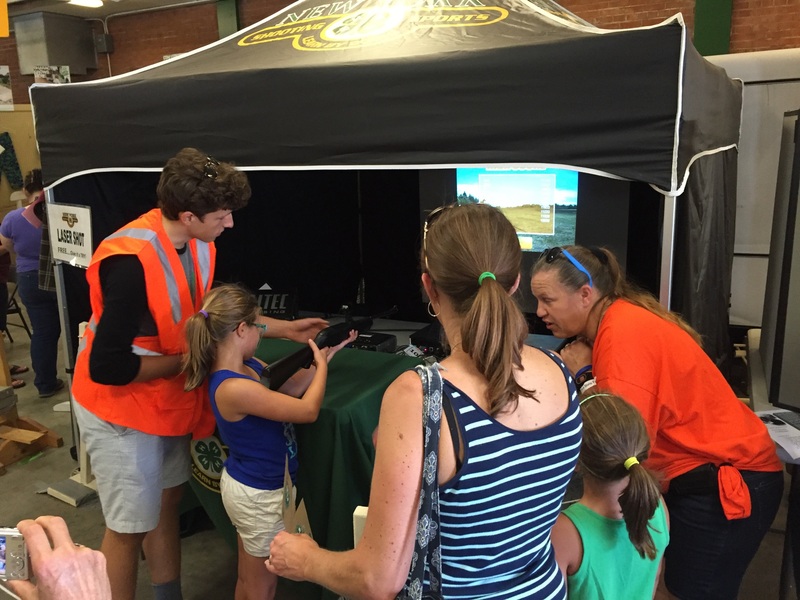 If you are coming to the Fair, drop by our booth(10AM-6PM) and also visit the Lincoln Welding virtual reality welding trailer. It truly is virtual reality, what you see through the welding helmet is a lifelike view of what the welder is doing and the computer tracks its process. Why welding and shooting sports? Well, ask yourself who makes all those really cool reactionary targets and pellet traps. 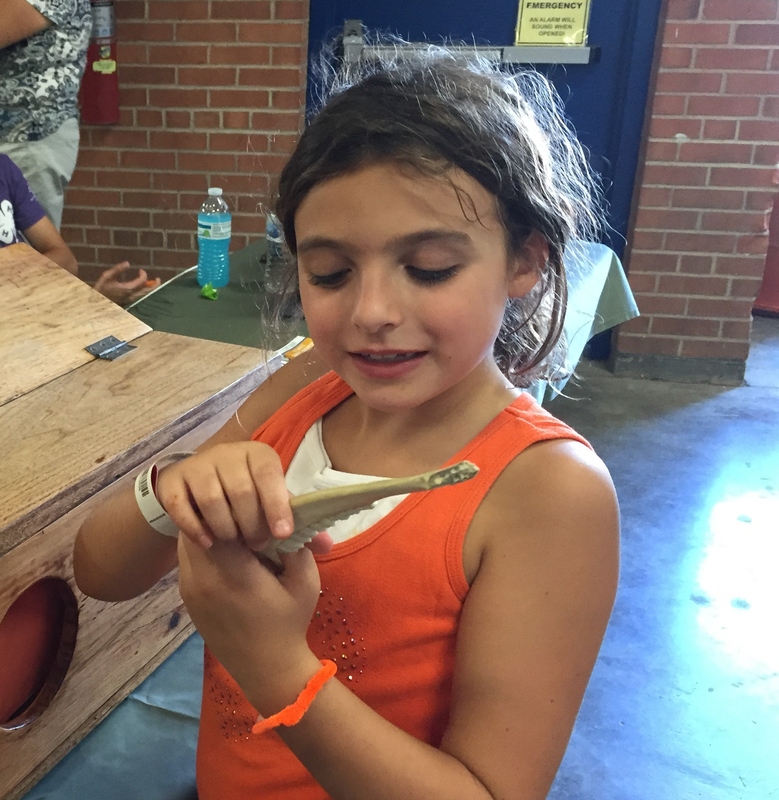 Saratoga County Fair – July 17 – 22, 2012 – Visit 4-HSS at the Saratoga County Fair. The Great New York State Fair – August 23 – September 3. 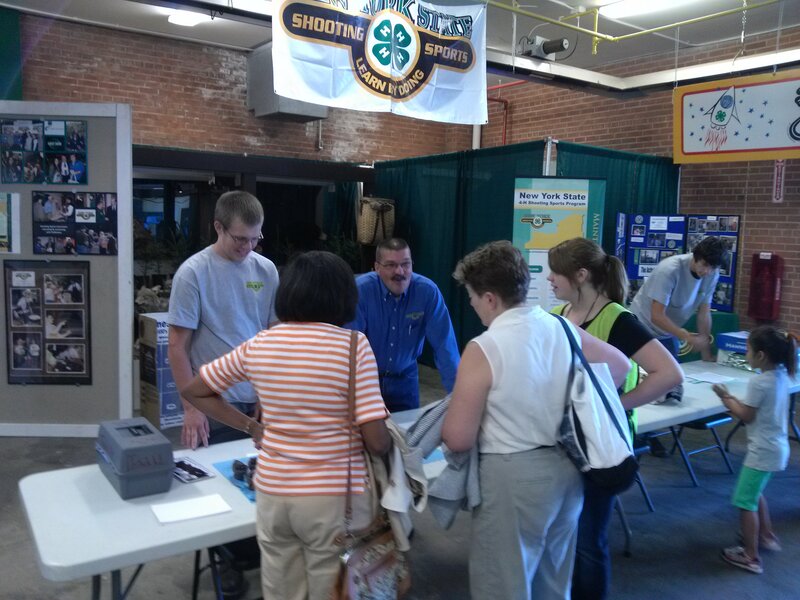 2012 – Visit NYS4-HSS at the State Fair, 4-H Building NYS Fairgrounds, Syracuse, NY.